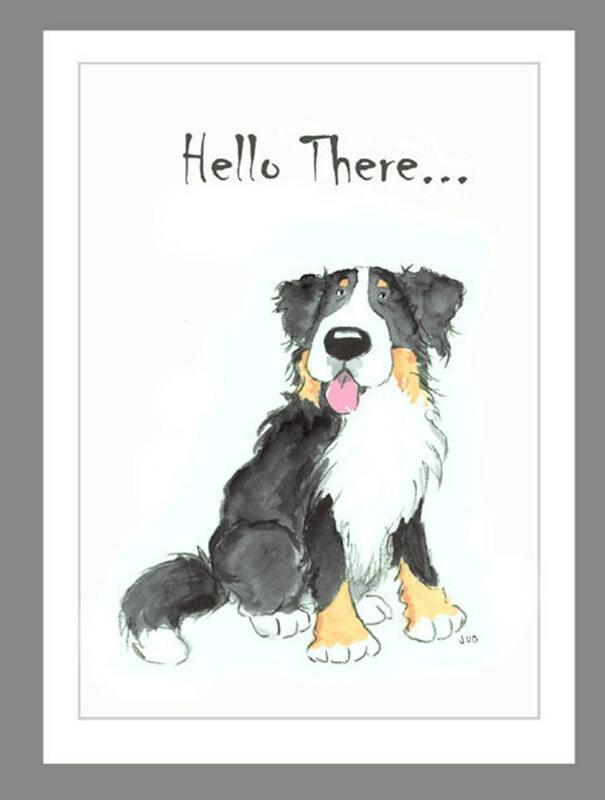 This lovable, cartoony, Bernese Mountain Dog is happily waiting for you to take him home so he can help you with your correspondence. Printed on recycled paper in Oregon. German Wirehaired Pointer in a Field of Flowers & Trees, 16 Blank Note Cards, 5"X7" with 16 white envelopes.